On Monday mornings the City Farm staff travels to Roger Williams Park, where they pick up a truckload of horse manure and bedding, including straw and wood shavings, from the Providence Police Department Mounted Command Unit—or more specifically, Perk, Adonis, Charlie, Arlen and Goliath. This important ingredient is used to add carbon to the compost. 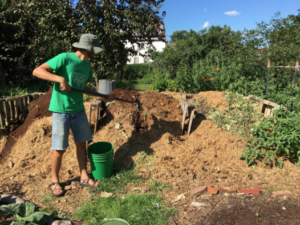 Nick Ogrinc, City Farm Intern, adding food scraps to the compost piles at the entrance of the farm. Twice a week the City Farm staff travels a few blocks towards Westminster Street to White Electric Coffee. They enter the coffee shop with handfuls of bouquets for the café tables. After exchanging the flowers from last week’s delivery, the staff goes around to the back to pick up used coffee grounds. Coffee grounds provide much-needed nitrogen to the compost. During the week, New Harvest Coffee Roasters delivers chaff, which is a byproduct of the roasting operation that would otherwise go to waste. New Harvest also gives City Farm burlap bags left over from coffee bean shipping, which are used on the farm to transport produce, mulch the garden beds and gather materials. 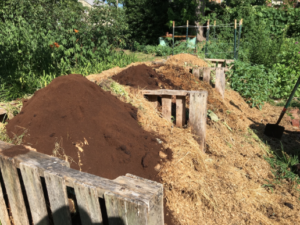 On Tuesdays, Bootstrap Compost, a composting organization that acquires food scrap donations from the Boston area, drops off food scraps to be used in the City Farm compost. Food scraps are an important part of making compost because they provide nitrogen to the soil. Bootstrap Compost delivers 80 pounds of organic matter to City Farm each week. Finally, T.F. Morra Tree Care drops off wood chips that are used to add carbon to the compost. Bins of coffee grounds and chaff from New Harvest Coffee Roasters used in the compost. Come October, when everything green has died and nighttime frosts begin, the City Farm staff travel to beaches around Rhode Island hunting for seaweed to cover the beds. The seaweed is used to weigh down the straw and provide nutrients to the soil during the winter. 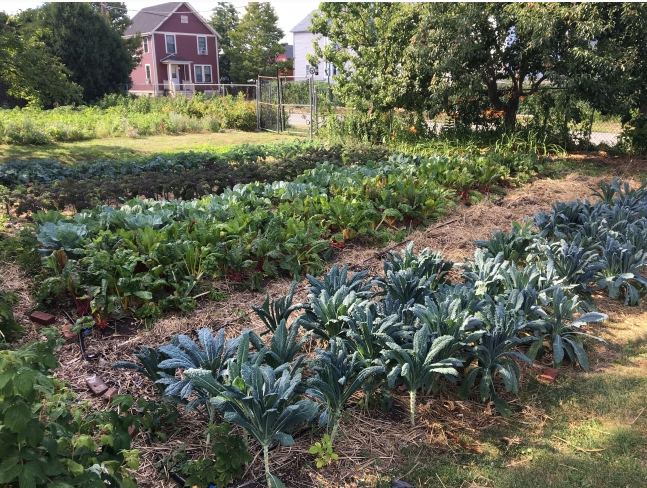 The facilities manager at Brown University brings shredded leaves that are also used to cover the beds, and then turned back into the soil to begin the next growing season in the spring. Ogrinc says, “There’s something really beautiful about reusing materials from the community and using them to build the soil. The compost is so magical because you have trash and you turn it into something that you can grow food with.” By utilizing components that would otherwise go to waste, City Farm has developed the perfect recipe for nutrient-rich compost, a critical ingredient in the success of their growing operation. Without City Farm, community businesses and organizations would have to find other ways to dispose of their leftover material, like resorting to tossing it in the landfill. 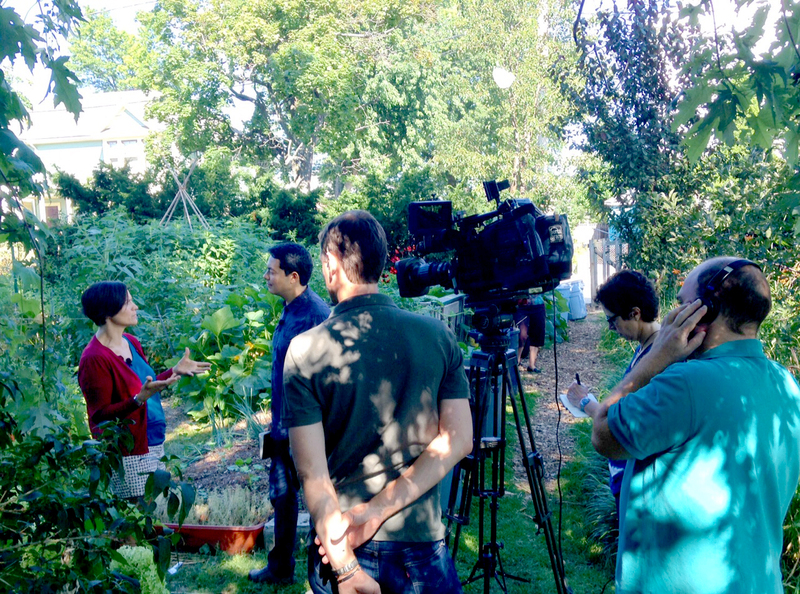 City Farm uses what the surrounding area has to offer to make something sustainable, useful and resilient. Densely packed rows of thriving vegetables, towering fruit trees and flourishing herbs fill every inch of the biodiverse farm, all thanks to the fertile City Farm compost.